Around 11 o’clock, on the evening of Shrove Sunday 18.., close to the old Barrière d’Italie, frightful cries, coming from Mother Chupin’s drinking-shop, are heard by a party of detectives led by Inspector Gévrol. 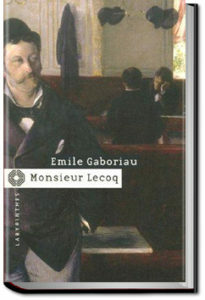 In this second book (out of two) we go back in time to that dark period of French history. Little by little, the key to the mystery murder is unveiled. This entry was posted in Reading and tagged allyoucanbooks.com, audio books free, ebooks free, free audiobook, free kindle books, unlimited audio books, unlimited crime books on June 12, 2018 by all-you-can-books.